Everyone loves free stuff. But that doesn’t mean that everyone will use free stuff. This crucial distinction is what separates effective promotional products from “stuff”. When it comes time to select your next product, consider the following aspects of an effective marketing tool: Aesthetic Appeal, Quality, Function, and Meaningful Message. Your promotional product should be attractive. Remember that your brand will be intrinsically linked with the look of your swag. Take some time to reflect on the design elements and the quality; it will pay off in the end. Just as the aesthetic appeal will align itself with your brand, so will the quality. Investigate your options thoroughly to ensure that you are associated with quality and value. Your best course of action is to work with a reputable promotional products distributor who can guide you with their specialized knowledge and experience. It’s also wise to request a sample of the product prior to purchasing the full order. This is an easy and inexpensive way to ensure that the product is the right match. The success of your swag largely depends on whether its recipients will use it on a regular basis. In order to make the biggest marketing impact, choose a product that’s not just aesthetically appealing, but useful. Tote bags, desktop items and drinkware are practical products for a general audience, and their wise-spread use tends to yield a significant amount of impressions. Promotional products are a terrific platform to communicate with existing clients and new prospects. That said, no matter what you choose to imprint, it should be clear and organized. Make sure that you convey the most relevant information, and choose clean fonts that can be easily read. It’s not an effective marketing tool if your prospect fails to recognize you. You only get one chance to make a first impression. Make it count with memorable promotional products! 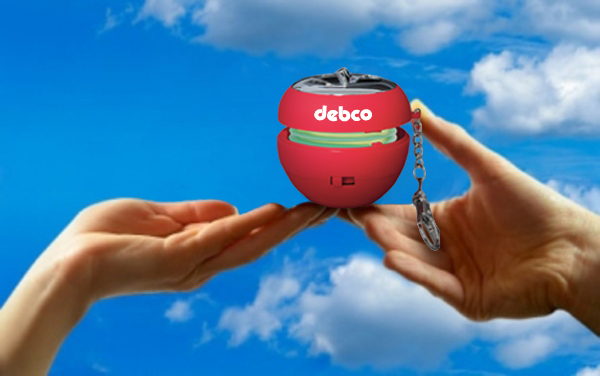 This entry was posted in Marketing and tagged Advertising Specialty, Aesthetic Appeal, First Impressions, Functional, helpful tips, Marketing, Meaningful Message, Memorable, product solutions, Promotional Products, Quality, Swag by Debco. Bookmark the permalink. Thanks for the reply! You’re right about the trade show give-aways. When done right they can be very effective, but too often they end up collecting dust or tossed. Cheers to smarter swag!